Much has been made in the last decade or so about the importance of strong branding. Unlike many trends that are just hype, branding and having a strong brand image is a rock-solid concept that is crucial to the success of almost any business. From independent consultants to the largest mega-corporations, creating a strong brand identity is a must for any business. But creating a brand image isn’t just about hiring a designer to create something for you, it’s about creating your very own unique signature. Here are 4 of the most important things to research before creating a brand identity. Ultimately, at the end of the day, you are your brand. You aren’t so much selling a product as you are selling yourself. This doesn’t mean prostituting yourself out, but it does mean you are selling your individual brand of wisdom, experience and even your sense of aesthetics. Apple is one of the most recognizable brands on the planet and is known for the clean, smooth lines of their products, the wide-open floor plan of their stores and their no-frills aesthetics. A company that was founded by a man who spent years wearing jeans and a black turtleneck every single day. Steve Jobs didn’t just sell a product, he branded his unique vision to the world. Before you can understand your ideal client or consumer, you have to understand yourself and exactly what it is you have to offer them. Then you can get to work figuring out how to communicate that to them. Once you know who you are, you will know who you connect best with. That is your target market. In order to connect with your target market, however, you have to know what their tastes and interests are – what are they looking for? The best marketing is done by people who have a product that meets a specific need and finds the market that has that need. If you are an avid athlete that sells essential oils, your best market is probably going to be fellow athletes, because you have expert advice to offer them on which products will best suit their needs. You therefore want to create a brand identity that is going to appeal to an athletic audience. 3. What appeals visually to your target audience. 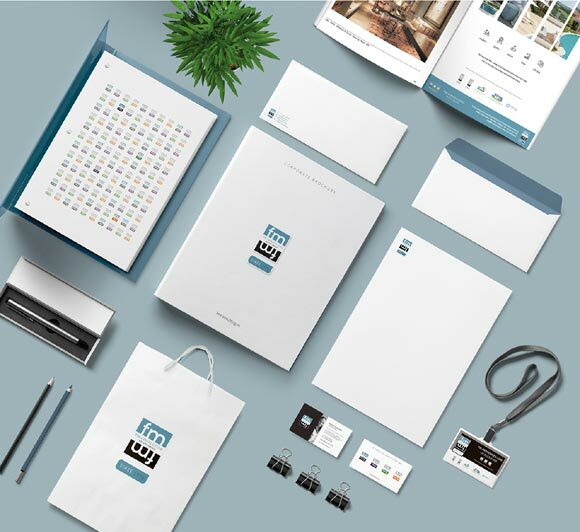 Once you have determined the kind of people most likely to buy your product or service from you, you can start the process of developing a visual brand identity. Certain colors, shapes and tones appeal visually to different kinds of people. You want to develop branding that appeals to the specific audience you want to connect with. Logos in particular need to be developed specifically with your target audience in mind, since they will become the most immediately recognizable signature of your brand. You can see information regarding logos history and what their impact was on branding and marketing by visiting LogoRealm. If you are the owner of a yoga studio with a distinctively Eastern aesthetic, you may have a designer work up a few logos with a distinctively Asian feel to them. Conversely, if you own a modern, upscale studio that works predominantly with professional athletes, you may want to have a completely different visual branding strategy than another studio owner might. Even though you are in the same business, your target market is very different, w which means your branding strategies will be as well. Ultimately, before you can decide where you want to start, you need to figure out where you want to end. Different branding works better on a variety of different platforms. Before you start developing your brand identity, you also want to determine what is the best platform or outlets for distributing that brand. If you are going with a strictly digital marketing approach, you have more flexibility and freedom to develop a more robust brand than if you plan on doing a combination of digital and traditional (print) marketing. The infamous black and white packaging of the Paul Mitchell brand of hair care products actually came about because color printing was more expensive than black and white printing. The two founders of the company managed to pool together $700 for their first batch of shampoo, but didn’t have enough for color printing, so they went with black and white. While this turned out to be a fortuitous challenge to have, it might not have the same results for everyone. So, before you finalize a branding strategy, make sure you are going to have the budget to execute that strategy once it is completed. Developing a brand identity extends far beyond just coming up with a great logo. Every element of your brand from the fonts you use on your webpage to the photos you use on social media are going to create a picture of who you are and what you stand for. In the 21st century, what you stand for matters almost as much as what you are selling or the service you offer. Make sure you are presenting a comprehensive picture to your target audience of who and what you are by creating a brand image that best represents you.